I'm writing this on Thursday, since this weekend I will be out of town - we are visiting college friends of mine who live in Portage. I'm still coughing a bit today but it's not as bad, which is good. I'm running out of cough drops though so probably will stop by a CVS or 7-Eleven before work ... just in case. Receiving fun stuff in the mail. 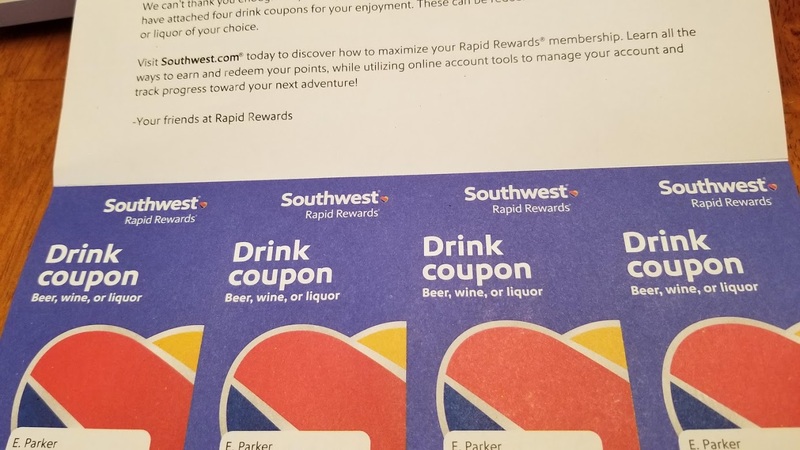 Southwest sent me four free drink coupons, probably because I have their Rapid Rewards credit card, which was pretty nice of them. They expire July 2019 so hopefully I can use them before then. They sent me a few last year too, I believe, because I sent two to a friend in CA, and I used one - I still have one more left, which expires 12/31. I'm flying them to Chicago for work in October so I'll probably use that one on the trip back to Detroit. Seeing movies, per usual. Maybe too many movies - I'm giving myself a break tonight from them. I saw 6 movies in 5 days: Blindspotting, which was excellent (4.5/5 stars); Mamma Mia, which I wanted to be better (3/5); Mission: Impossible - Fallout, which was fun (4/5); Skyscraper, which was dumb but entertaining (3/5); and Leave No Trace, which was very good but also too slow for me (3.5/5). I'd like to see Christopher Robin, which is out today, but will probably see that next week sometime. MoviePass just announced some changes to its program so I'm hoping to get a lot of use out of my subscription, in case they eventually close. Seeing my parents. On Monday I met up with my parents at Pasquale's, in Royal Oak, for dinner. 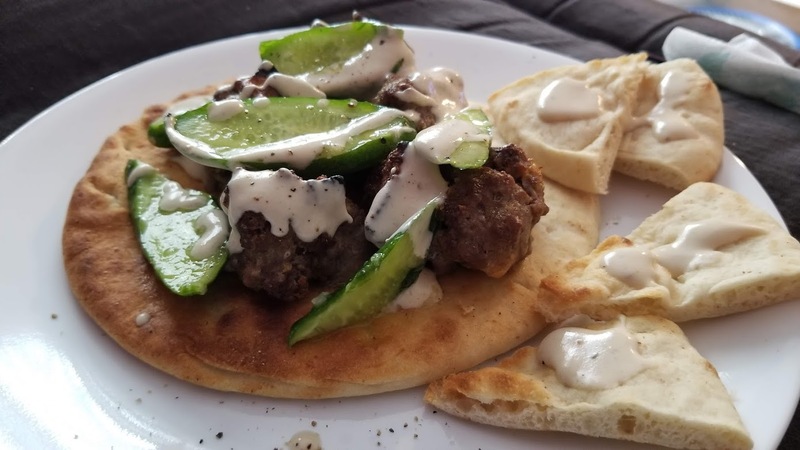 If you sign up for their e-club, they send you $20 off your bill during your birthday month, which is a great deal, and July is my dad's birthday month. Their pizza is phenomenal there but I've been told the pasta is even better, so I'll have to try it at some point. Seeing Jim Gaffigan at DTE. I had been watching his shows on Netflix so I was excited to see him, and he was pretty funny, as were the two comics that opened for him. I bought new lawn chairs for DTE (finally ...) only to be told that they were too tall, so we had to shlep them back to the car. I had brought a blanket too, just in case, but the very nice friend I went with ended up renting chairs for all four of us, so we did that instead. The next day I returned the chairs I bought, to Bed Bath & Beyond, and ended up buying shorter chairs at Meijer, so hopefully those will work for next summer, as I have tickets for only one more DTE show this summer (Pentatonix) and a friend and I treated ourselves to pavilion tickets for that show.